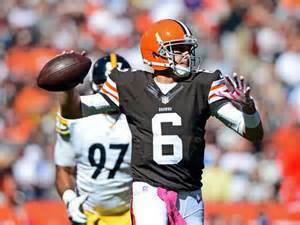 Comments: Comments Off on Jonathan Coopers Next Step is The Cleveland Browns! Jonathan Cooper is taking a new step in his career starting this week as the Right Guard for the Cleveland Browns. Despite this new improvement in his career, Jonathan Cooper’s journey has not been an easy one. 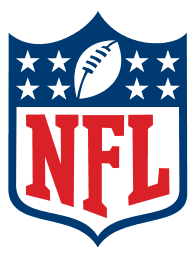 During this last year, he broke a bone in his leg and was thus placed on the injured reserve list, while working for the Arizona Cardinals in 2013. Then he was traded off to the New England Patriots in March, and then finally was claimed by the Browns. Now Cooper, a 6’2″, 302 lbs man, will be replacing John Greco who was put on reserve for injuring his foot last week. “It’s a great opportunity,” Cooper said. This is the time for Cooper to show his teammates what he is capable of. Cleveland O-line Coach, Hal Hunter, said concerning Cooper, “He is athletic. He is smart. He is tough. Coach Hunters views this misfortune, as a new opportunity for Jonathan Cooper. This is Cooper’s first time being on a team that currently has No Wins. Football fans everywhere are looking forward to seeing Jonathan Cooper, take his next step as Cleveland Browns, Right Guard. Comments: Comments Off on Browns win over the Steelers was great but…. Browns win over the Steelers was great but…. No question that the Browns fans, the city of Cleveland and the team needed a win over the hated Steeler Nation. They not only got it but did it in style with the 31-10 victory in Cleveland yesterday. But there were extenuating circumstances that took a lot of the luster off the win. Of course the season ending injuries C Alex Mack and DE Armonty Bryant took some of the joy out of the win. But the win had far more to do with offensive and defensive breakdowns by the Steelers than great play by the Browns. That is not to say that the Browns played poorly. That is not the case. But on both sides of the ball the Steelers made mistakes that allowed the Browns to score and prevent scores by Pittsburgh. The both the long passes to TE Jordan Cameron were blown coverages by SS Troy Polamalu. In each case he chased a player that was not his responsibility rather than covering Cameron who was his charge. The Steelers have struggled for more than 2 years in the red zone. Their ineptness was a major contributor to failing to make the playoffs. The blown field goal attempt ignited the Browns O explosion. That led directly to the Browns TD. The Browns took advantage of the Steeler mistakes but that has not happened often in this “rivalry.” QB Brian Hoyer threw only 17 passes and the Browns still beat them. But all the stats were nearly identical. The Steeler errors were mostly responsible for the Browns win.